When we eat, we travel. And with that, Mina Holland lays out the thesis for The World on a Plate in the very first sentence. It's like beginning a piece of music on a crescendo. Unexpected and somewhat jarring, but certainly attention-grabbing. And every single chapter begins with these attention-grabbing statements that compel you to keep reading. While not a cookbook in the strict sense of the word, The World on a Plate contains enough recipes to be considered a cookbook. But it is so much more than a cookbook. It's filled with history, culture, personal stories, and most importantly, decadent food writing. Lay onions cut-side down in a big saucepan. 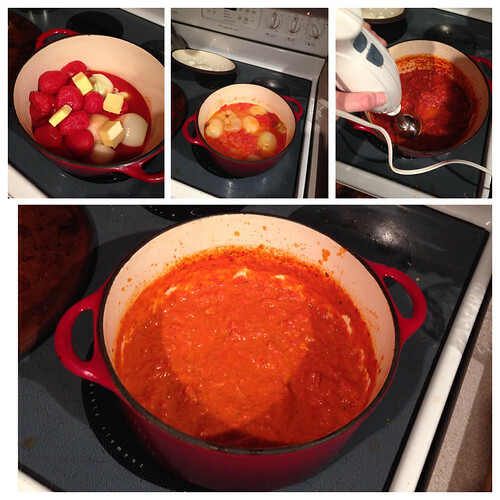 Pour tomatoes over the top, throw in the butter, cover and cook on low for 45 minutes. Stir occasionally, blending in melted butter and gently crushing the whole tomatoes to a pulp. About 20 minutes into the cooking process you will begin to smell the flavors melding. I ended up using an immersion blender because I like a smooth tomato sauce, and I found this sauce to be a bit too chunky for my taste, so I think the next time I make this, I will true using canned crushed tomatoes instead of whole tomatoes. I also added oregano because I like my pasta sauce to have so Italian herbs in it. However you choose to doctor this up, just know that the richness from the butter and the sweetness from the onion is what makes the flavors come together. 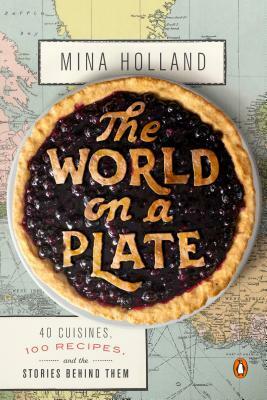 Overall, The World on a Plate is a perfect read for someone like me who loves food and loves to travel. As Holland says in the introduction, food is a common language and it shapes our memory. It's hard to imagine talking about a culture without talking about its food. This is one book where I felt like I learned a lot and also enjoyed the beautiful writing. 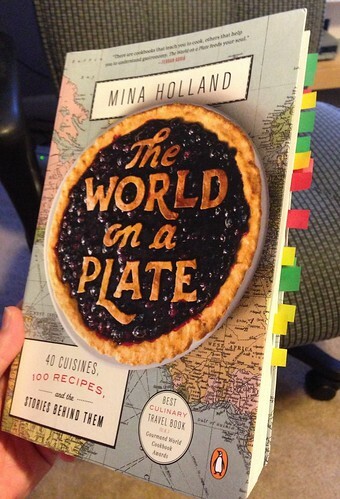 As evidenced by the myriad post-it flags, I will definitely be referring to this book for recipes, food information, and also a mentor text for really great writing. This sounds perfect for me. I love reading about food as much as I love cooking it. That simple sauce sounds awesome -- I'd likely add oregano and black pepper too. You have sold me on this one. It sounds like my kind of book. One of the things I loved best about traveling was sampling the foods.